Rezidor Hotel Group AB (REZT), publicly listed on Nasdaq Stockholm, Sweden and part of Radisson Hotel Group, is proud to announce the signing of the Park Inn by Radisson Vilnius Airport Hotel & Business Center. 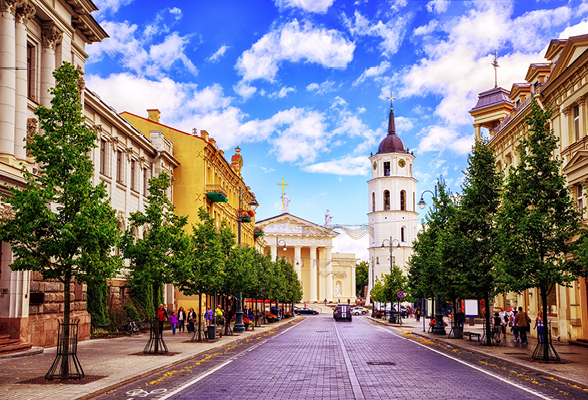 Expected to open in 2020, this 120-room hotel will be the group’s sixth hotel in operation and pipeline in Lithuania, and the fourth in the city. The group operates two Radisson Blu hotels in the city already and plans to add a Radisson RED. Radisson Hotel Group’s portfolio in the entire Baltics States rises to 18 hotels with more than 4,100 rooms. The Park Inn by Radisson Vilnius Airport Hotel, located within the VNO Business and Retail Park, is just 300 meters from the Vilnius International Airport and 6km from the city center. According to the data collected by the Lithuanian Department of Statistics, 2017 recorded close to 2 million room nights, an increase of 3.7% over 2016. The hotel will offer its guests a variety of facilities, including a restaurant, lobby lounge and gym – as well as a 500sqm flexible meeting space. “We are pleased to further strengthen our business relationship with the Radisson Hotel Group by signing the Park Inn by Radisson Vilnius Airport Hotel & Business Center. The Park Inn by Radisson brand is ideal for our new Vilnius Airport Hotel & Business Center since it is internationally recognized and associated with quality, and offers great value for money to guests. The Radisson Hotel Group’s knowledge, experience and management of our new Park Inn by Radisson Vilnius Airport Hotel & Business Center will increase our competitive advantage in Lithuania’s growing hospitality market,” said Marius Jakulis Jason, hotel owner and director. The Park Inn by Radisson Vilnius Airport Hotel & Business Center will be managed and operated by The Rezidor Hotel Group. Rezidor Hotel Group AB (REZT), publicly listed on Nasdaq Stockholm, Sweden, is one of the largest hotel companies in Europe, the Middle East & Africa. A member of the Radisson Hotel Group™, through a master franchise agreement with Radisson Hospitality, Inc. Rezidor operates and develops Radisson Collection™, Radisson Blu®, Radisson®, Radisson RED®, Park Inn® by Radisson, across EMEA, along with the Radisson Rewards loyalty program for frequent hotel guests. Since 2016, Rezidor also owns 49% of prizeotel. Rezidor Hotel Group features a portfolio of 472 hotels with more than 104,000 rooms in operation or under development in 79 countries across EMEA. The Rezidor Hotel Group and its brands employ 43,700 team members in EMEA and is headquartered in Brussels, Belgium. Rezidor has an industry-leading Responsible Business Program and is named one the World’s Most Ethical Companies by the US think-tank Ethisphere since 2010. Radisson Hotel Group™ (formerly Carlson Rezidor Hotel Group) is one of the world’s largest hotel groups with eight distinctive hotel brands, more than 1,400 hotels in operation and under development around the world. The Radisson Hotel Group portfolio includes Radisson Collection™, Radisson Blu®, Radisson®, Radisson RED®, Park Plaza®, Park Inn® by Radisson, Country Inn & Suites® by Radisson and prizeotel. Guests can benefit from the newly rebranded Radisson Rewards ™ (formerly Club Carlson SM), a global rewards program that delivers unique and personalized ways to create memorable moments that matter to our guests. Radisson Rewards offers exceptional loyalty benefits for our guests, meeting planners, travel agents and business partners. Radisson Meetings™ offers a variety of fully-equipped spaces featuring fast free Wi-Fi, A/V technology and on-site contacts designed to make every event unique. More than 95,000 global team members work for the Radisson Hotel Group and at the hotels licensed to operate in its systems. The company is headquartered in Brussels, Minneapolis and Singapore.